If your family is ready for a great time at the place where kids rule, then it’s time to enter the Kids Kingdom playground! 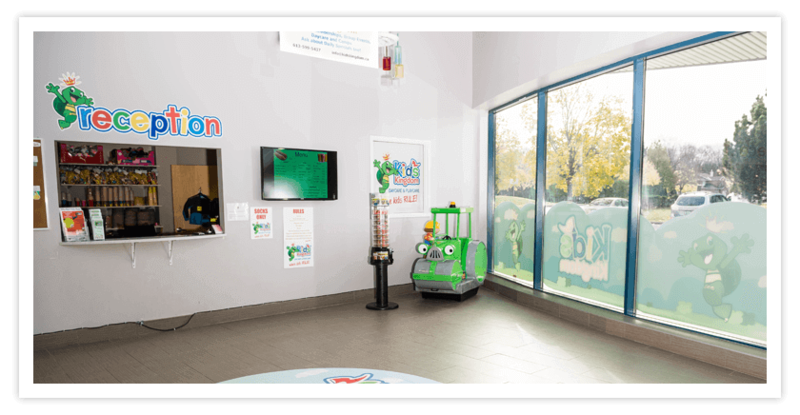 Your kids are in for excitement and adventure at our indoor play centre in Ottawa, while you get to relax in our parents’ lounge or grab a bite at the Kids Kafe. Tokens for the arcade and redemption games are not included in regular admission. Individual tokens are $0.50 each. You can’t put a price on fun—that’s why we try to give back by providing great weekly specials for you and your family. Tuesdays: Parents get in Free!. Wednesdays: Get FREE admission for 2 adults and 2 kids with the purchase of a Large Pepperoni Pizza (ALL DAY). Thursdays: 1/2 Price ADMISSION! (Age 4-12). Fridays: 3 Tokens per Paid Admission!.